On 23rd October, the SUN ingress in SCORPIO: Happy Birthday for all natives! Retrograde planets: Venus (until 16th of November), Pluto (until 2nd October) and Neptune (until 26th November), Uranus (until 7th January 2019). October is marked by Venus retrograde in Scorpio that helps us to find your inner resources, feelings, and values and to find the truth beyond your partnerships and understand if you are too dependent in your relationships and collaborations. Try to avoid buying luxury items, instead think about buying useful thinks. Sexuality is important during Venus is retrograde in Scorpio. Until October 26 end try to end any toxic relationship. Also, you should be careful about transactions, closing deals or managing benefits. Mercury is also in Scorpio helps you to see in depth the real answers to your important questions. You might become more aware of the power of information and law, also because Mercury is in conjunction with Jupiter. NEW MOON in LIBRA on 8th October at 23:46: Personal relationships are at the forefront, balance in communication and the harmony of everyday life. This is the comfort zone of this moment. You may get involved in certain activities with your partner, and if you are not in a relationship you may find someone with whom to have a beautiful life. It is important not to idealize personal relationships or people around you. Enjoy the moments that appear! The Libra ruler, Venus is in Scorpio in a retrograde motion, which can bring some feelings of possessiveness, jealousy and desire for vengeance, and to judge sober people from past relationships. What’s the point of all this? Do not forget in sensitive moments that you are capable of compassion and the power to forgive. Forgiving those around you first forgive yourself. Try to start a new path in your relationship with yourself, and indirectly with those around you. FULL MOON in TAURUS on 24th October at 22:52: Exaltation urges you to desire comfort, material security, a lively life. Being also Uranus in Taurus, you are willing to innovate new ways to have a good life. Therefore, decisions can be made about protecting personal comfort, while also giving up a form of security. 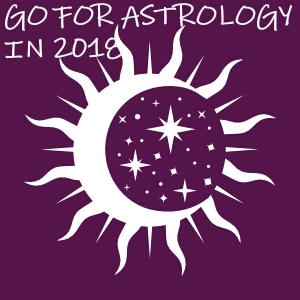 For example, some of you with a strong Taurus features emphasized in the birth chart may consider leaving a job or a home, or a relationship perhaps to protect their peace of mind or physical health. For physical and mental peace, some of you can radically change your life. Until 9 October MERCURY is in LIBRA: You are a real pacemaker and you are a good communicator. Between 9 and 31 October MERCURY is in SCORPIO: You use resources well. You have a tendency to delve into the core of matters, preferring this to superficial knowledge. You may also be a worrier. Communications with you are intense. The affected zodiac signs are: Taurus and Libra and in the zodiac where the planet is retrograde. MARS is in AQUARIUS until 15th November: You are keen to be right and engage in various collective activities. It is important to try to keep an objective view, otherwise you can lose your reins and you cannot get where you want. Unpredictability, lack of patience and willingness to change at any price do not drive you on the right path. The unreasonable rebellion is known to be losing before something starts. JUPITER transits SCORPIO until 8th of November 2018. On October is the last month when you should think about what secrets have you discovered under this transit? Have you had results in your researches and studies? Have you used in an efficient way some inheritance? Have you answered to some questions that have been into your head in the last 12 years? SATURN is in CAPRICORN, until March 21st, 2020. Saturn is dignified and functioning well. This is a time for turning a critical eye to those of Your career choices that don’t accurately reflect Your authentic selves. Capricorn and Saturn want respect and Saturn in Capricorn will work hard to earn it. Conservation is a big theme now. Taking the easy road is not favoured during this transit. Rewards come from putting in the effort. You might also be striving for more authority in an area of your lives now. Saturn demands simplicity, definition, realism, and truth and it tests your weak areas that need strengthening. The True North Node of the Moon is out of Leo on November 6, 2018. October is the last month when you have time to make a statement of your own evolution in the last year and to prepare for shifting to the Axis Cancer – Capricorn.